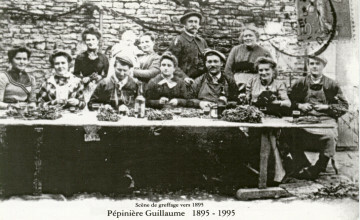 The Guillaume family has been grafting vines in Charcenne, France, for more than a century. Our knowledge and experience has been passed on from one generation to the next as our company has continued to evolve and develop, earning a name and ongoing recognition in the worldwide grapevine industry. The origin of the French nursery goes back to a time when the Franche-Comté region had to rebuild its vineyard after the Phylloxera crisis. In 1895, Albert Guillaume started to graft vines and set up a nursery that sold planting material in several wine-producing regions of France. At the end of the development of hybrids in 1954, Henri Guillaume assumed control of the business and had an active part in the reconstruction of the Bourgogne and Champagne Vineyards. From 1983 up to until the present time, his son Pierre-Marie Guillaume has continued to expand and develop the company, giving it an international scale and focusing on research and genetic selection. 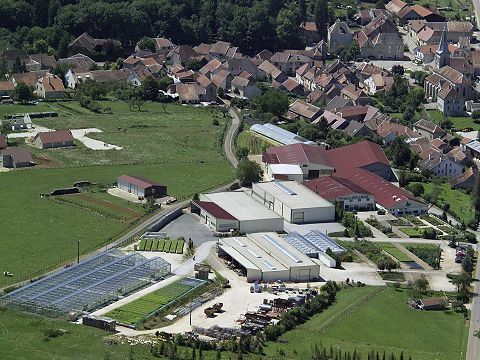 After expanding to South America in the year 2000, Guillaume Company set up a subsidiary in the United States in 2008, Guillaume Grapevine Nursery, in order to work with North American grape growers and provide top-quality material as well as sharing its well-recognized experience.